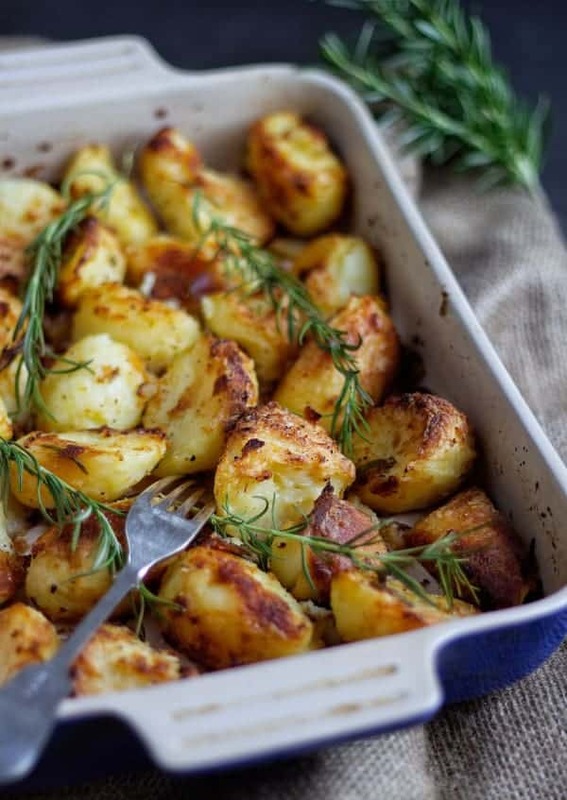 Roast potatoes are one of my absolute favourite parts of a roast! I really like mine infused with rosemary as it adds so much flavour but if you don’t like it you could always swap for Thyme. People often wonder how to get them just right without using lots of duck fat or beef drippings. Well the key is to get them crispy on the outside and fluffy on the inside. 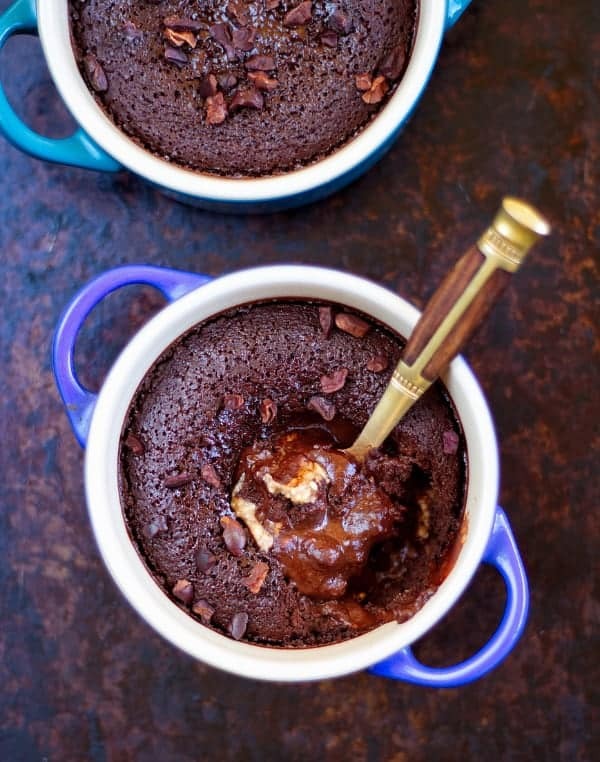 This recipe helps you achieve that with only using a few simple ingredients. 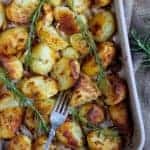 This process is really simple and perfect for showing off your homemade roast potato skills with your family and friends! 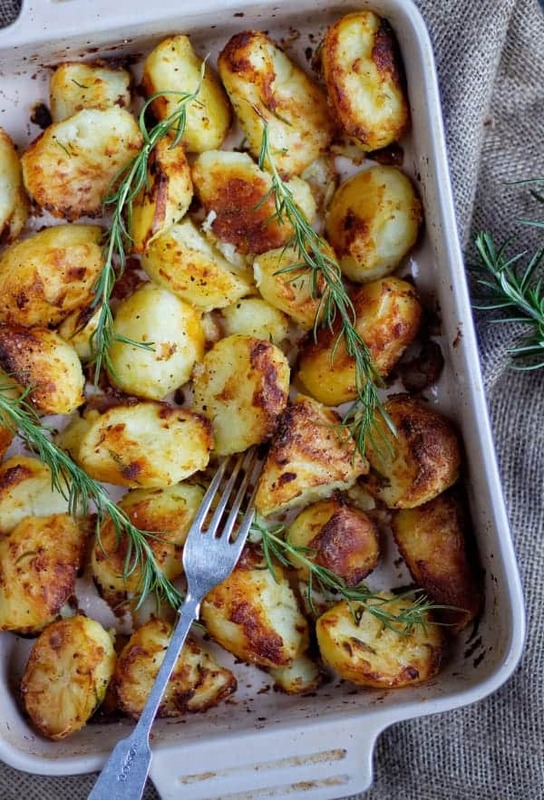 If you try these Rosemary Infused Roast Potatoes let me know! Remove the baking dish from the oven, place the potatoes inside (you should hear them sizzling from the hot oil/dish). If you are tight for time on Christmas Day or your oven just isn’t big enough to cook everything, then simply prepare these the day before and store in a large container with a lid and leave on your worktop overnight. Simply place them back in the oven for 15-20 minutes before serving to warm up! Ovens can differ quite a lot from each other, always keep and eye on them if your oven runs very hot as the time maybe faster for you! Fancy a Christmas Christmas nut roast to go with these then check out mine!